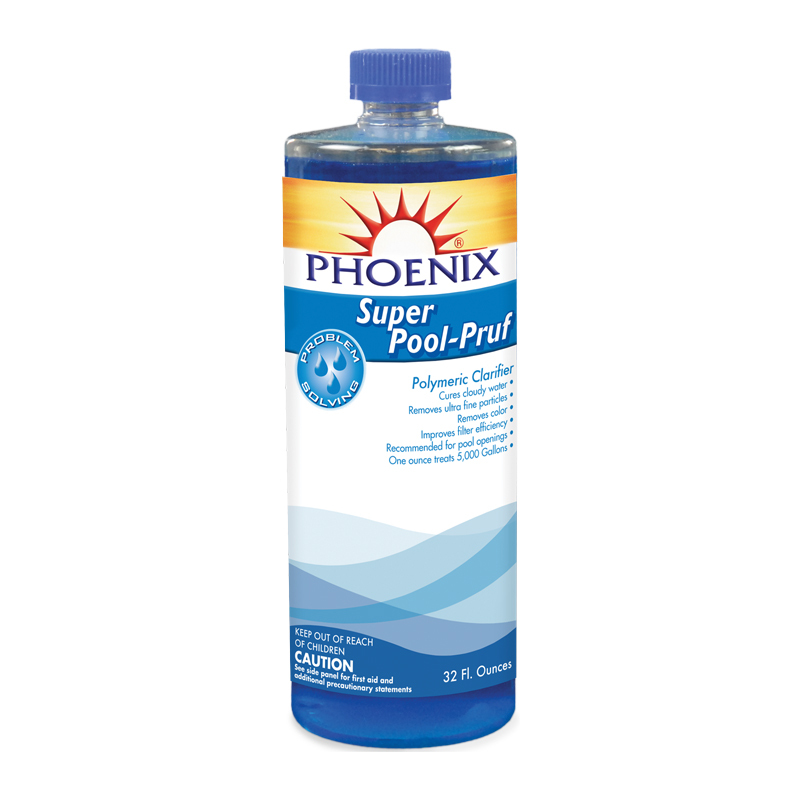 Pool Recovery is a combination of our Phosphate Remover, Natural Enzymes, and Super Pool Pruf Clarifier, designed to make pool maintenance EASY! 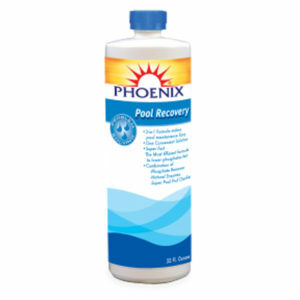 Pool Recovery keeps your pool water clear while being the most efficient formula to lower and eliminate phosphates FAST! Designed to clean, deodorize, and prevent mildew for pool and spa covers and solar caps. With cover still on, remove water, leaves, debris, etc. Remove cover and squirt Stow Guard over the full area of cover. Using a nylon brush, scrub cover clean adding water to aid in loosening of dirt. Rinse loosened the soil with water. If possible allow the cover to dry thoroughly. The cover should be stored in a safe place. Specialty maintenance product has proven to eliminate phosphates from fertilizers, rainwater, soaps and other pollutants. Phosphates are the key nutrient for algae, and if phosphate levels are too high the salt water generator will have a hard time keeping up with chlorine demand. Use weekly, if no algae are present: Use 1 ounce of Phosphate Remover per 5,000 gallons to maintain phosphate levels at or below 125 ppb (parts per billion). If algae are present: Shock the pool. Brush pool surface and vacuum to filter. Test water using a phosphate test kit. Use dosage chart below to determine the correct dosage. 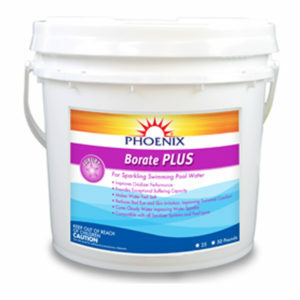 With filter running, disperse the proper amount of Phosphate Remover by adding it slowly around the edge of the entire pool and in front of the return line. Run filtration system for at least 24 hours. Watch the filter pressure and clean or backwash as necessary. Test for phosphate again. 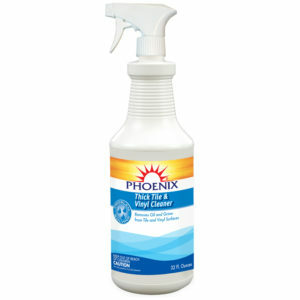 Our Phoenix Filter Cleaner is an essential maintenance product that everyone should have on hand at all times! It cleans D.E. and cartridge filters by removing oil, dirt, and grease. Restores filter efficiency and is safe for all types of filters. It is easy and safe to use because it contains no acid. Use it to clean your filter at the beginning of the season, during mid-season, at the end of the season, or anytime you want to maximize your filter’s efficiency. Available In Quart. Removes scum, oils, minerals, and scale from Spa & Pool Cartridges & D.E. Grids. Easy to use, no scrubbing. This special liquid formula works in minutes so you can continue to enjoy your spa or pool. It is recommended that you use every 4-6 weeks to maintain filter efficiency. Rinse filter cartridge or D.E. Grids thoroughly to remove any loose matter/debris. While wet, spray Instant Filter Cleaner on the total surface area and allow to set for 3-5 minutes. Rinse thoroughly and reinstall in the filter system. 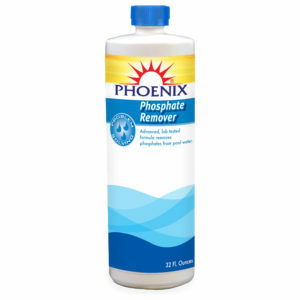 Note: It is recommended that 2-3 times a year that you soak the cartridge in a solution of Phoenix Filter Cleaner for 24 hours. 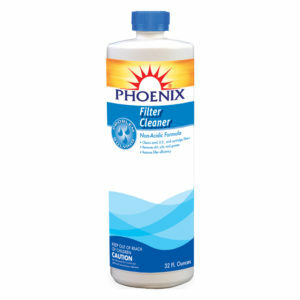 Is an excellent cleaner that is very effective in removing body oils, chemical residues, lotions and dirt that create a film at the tile line. Tile and Vinyl is a great hard surface cleaner for patios, patio furniture, showers, boats, slides, pool ladders, and so much more! Available In Quart. Is a cationic flocculent that cures cloudy water by combining with tiny particles of dirt, dead algae and color to create masses large enough for the filter to trap. Simple to apply and safe to handle, Super Pool-Pruf works over a wide pH range and will not affect current pool pH as does alum or alkali. Super Pool-Pruf is not affected by chlorine or bromine. Available In Quart and 1/2 Gal. Is a unique stabilized enzyme that catalyzes the breakdown of body oils, suntan lotions and other organic contaminants? 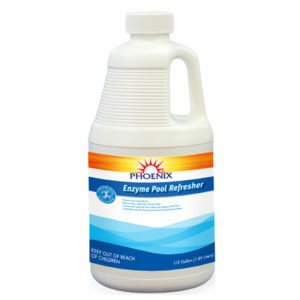 When used at the recommended dosage levels on a regular basis, Enzy-Matic Pool Refresher provides multiple user benefits. Prevents scum line build up, reduces haze, cleans filter media and lengthens filter runs, and is compatible with all chemical and mechanical sanitizing systems. 1 ounce treats 1500 gallons of pool water. Available In 1/2 Gallon. Coagulant clarifier helps clear cloudy water in swimming pools. 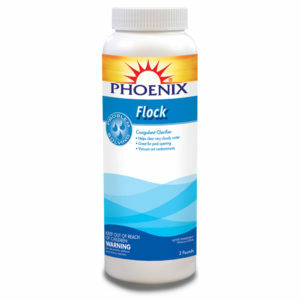 When Flock is added to the water it forms gelatin-like particles called “flocs” which trap small pieces of dirt and impurities and settles them to the bottom of the pool where they may be removed by vacuuming. An all-natural polymer from crustacean shells proven to be a superior clarifier for swimming pools, spas, fountains, water parks, ponds, aquariums. 4-in-1 Clarifier is environment-friendly – will not harm plants, animals or fish. When used weekly, 4-in-1 Clarifier clears cloudy water by coagulating all the tiny particles, oily liquids, and stain-causing metals that build up and deposits them in your filter where they stay until you flush them out. Use for Sparkling Pool Water. Formulated to enhance water quality and clear cloudy water which is caused by algae or bacteria, poor water balance, and fine dirt particles. Is proven to reduce red-eye and skin irritation producing softer feeling skin. Improves oxidizer performance while providing exceptional buffering capacity. 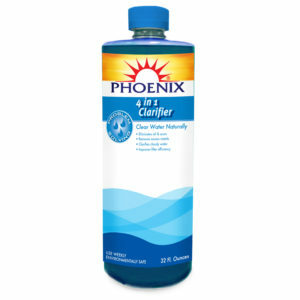 Cures cloudy water and improves water sparkle. Compatible with all sanitizer systems and pool types. Works Fast! 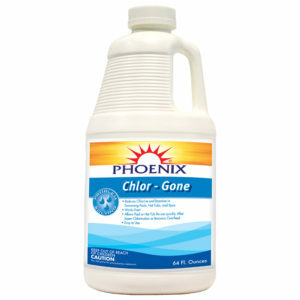 Chlor-Gone is used to reduce chlorine and bromine in swimming pools, hot tubs, and spas. Recommended for use when the chlorine or bromine levels are too high. Fast acting settling agent, safe for all pools and filters! Contains no metals and will not foam. This fast-acting settling agent is designed to clear cloudy to severely cloudy water. Eliminate Bugs Fast! De-Bug reduces the surface tension of the water causing floating insects to drop to the pool bottom for easy removal by vacuum and filtration.